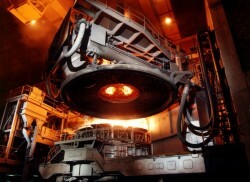 Analysts forecast a substantial rise in sales for the Austrian refractory manufacturer. However, profits should decline, analysts state. RHI will present its figures for the third quarter on 3rd November. According to estimates, sales should rise by 13% to €1.28bn. Profits should decrease by 15% to € 76.7m. Analysts from UniCredit, Raiffeisen Centrobank and Erstegroup forecasted RHI´s result.